The handbag that is as distinctive as it is versatile. 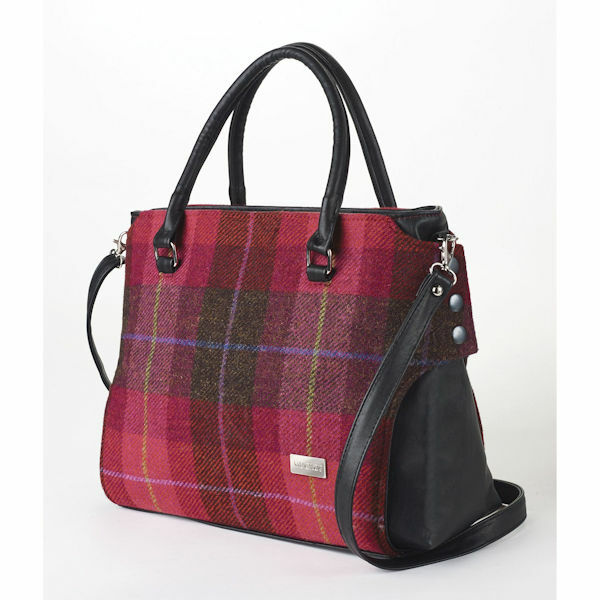 Classic Irish wool plaid exterior in an unexpected raspberry hue, with a fun three-snap accent on the sides. Lined interior has stash space for all your necessities; sturdy shoulder handles plus a crossbody strap. Wool exterior with faux leather accents. Imported. 14" x 11" x 5½".